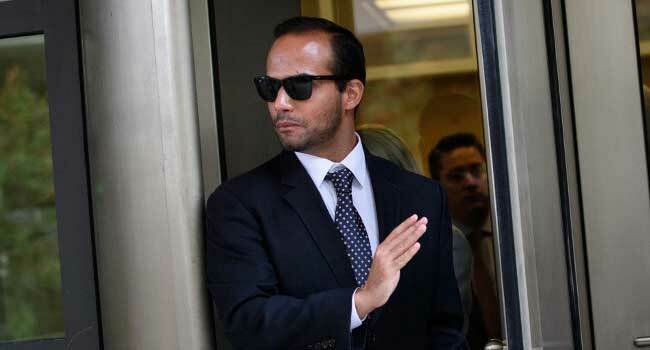 Foreign policy advisor to US President Donald Trump’s election campaign, George Papadopoulos leaves the US District Courts after his sentencing in Washington, DC on September 7, 2018. Papadopoulos was jailed for 14 days for lying to FBI agents over contacts with Russians that set off a federal probe into possible collusion with Moscow. Mifsud introduced him to others who ostensibly had connections to Russian President Vladimir Putin – including a woman who claimed to be Putin’s niece. His reaction was that Mifsud “was simply repeating gossip and rumours,” Papadopoulos said. Breen noted that Trump was already calling the allegations of Russian election interference “fake news” and a “political witch hunt” – terms he continues to use for the Mueller probe.